Tinnitus Miracle Review - How Does It Work? Tinnitus Miracle Review – How Does It Work? 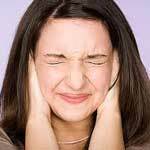 Tinnitus, or ringing in the ears, plagues a surprisingly large portion of the population. Up to 20% of people will encounter the buzzing or chiming at some point in their lives. While sometimes this is caused by loud noises or improper use of headphones, there are many tinnitus causes that stem from diseases and conditions, meaning that proper medical care is very important if you have consistent or recurrent tinnitus. Many people with this condition have heard of the Tinnitus Miracle, a book purportedly written by a sufferer of this sometimes debilitating condition. Supposedly, the secrets in this text will teach you how to get rid of your condition in a natural and holistic way. Interestingly enough, you will never know these secrets unless you buy the book, which means that unless you want to open your wallet, you will not be able to learn about the supposed Tinnitus Miracle that is garbaging up the internet with fake review after fake review. If you have pulsatile tinnitus, your first course of action should be a consultation with your physician. There are many conditions and diseases that could be responsible for your condition such as an ear infection or multiple sclerosis. It’s important to rule these out with your doctor. In addition, instead of looking for a tinnitus miracle, working with your doctor on proven medical treatments can bring you relief much sooner than anything you might be able to do on your own. Treatments for this ailment can range from simple things like cleaning the wax out of your ears to surgical procedures. How your doctor chooses to tackle your condition will depend on the source and severity of your ringing problem. Instead of wasting your time and money on a tinnitus miracle, schedule an appointment with a physician. Nobody should have to live with tinnitus, and while the investigation process into the source of your problems can be frustrating, it’s much more likely to result in safe and effective tinnitus treatment that will bring you long lasting relief from the sounds and sensations associated with this ailment.